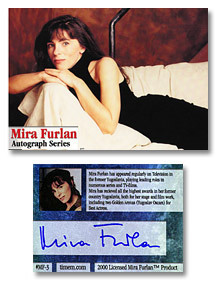 authentic individually hand-signed celebrity autographs exclusively from timem.com. 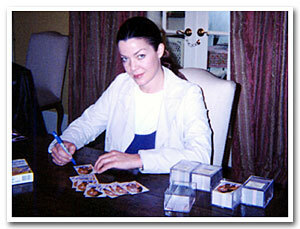 We design, print, and personal oversee the Autographing of these cards. stars name engraved on a gold plate. Special Limited Edition Mira Card - $35.00 w/C.O.A.